The Nikon 24-85/3.5-4.5G VR is a surprisingly good lens at a reasonable price. The performance is pretty good in the DX image-circle but you need to stop down to f5.6 or even f8 to get good performance in the corners of a full-frame 36MP D800. Overall it is a worthy compact kit-zoom for those who start into FX-land or want to keep their options open for a future upgrade to an FX-body. 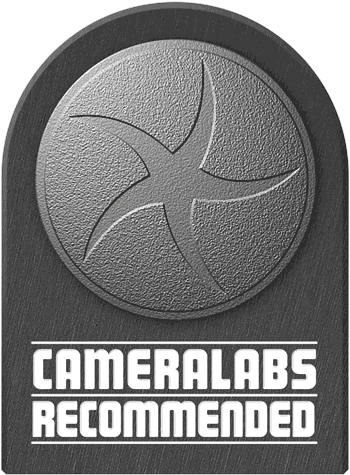 A Recommended rating is well earned. Check prices on the Nikon 24-85mm f3.5-4.5 VR at Amazon, B&H, Adorama, or Wex. Alternatively get yourself a copy of my In Camera book or treat me to a coffee! Thanks! The Nikkor AF-S 24-85mm f/3.5-4.5G VR is an affordable general-purpose zoom that’s compatible with full-frame Nikon FX bodies. Announced in June 2012, it’s arguably the successor to the Nikon AF 24-85mm f/2.8-4D from 2000. It’s optically a little slower but now sports Vibration Reduction to counteract camera shake and as an AF-S model it’ll autofocus on any Nikon body. An affordable general-purpose zoom for expensive full-frame bodies may seem like an odd combination, but the AF-S 24-85mm provides a useful range without breaking the bank and could complement an existing selection of primes. You could equally mount it on a DX body now and enjoy 36-128mm equivalent coverage with an upgrade to full-frame penciled-in for the future. It also intriguingly suggests a more affordable full-frame body may be in the pipeline, with this presumably being the natural kit lens. With the addition of the AF-S 24-85mm f/3.5-4.5G VR, Nikon now offers three stabilized FX general-purpose zooms starting at a decent wide angle and zooming in to various degrees of tele-coverage: the 24-85mm, 24-120mm and 28-300mm. The big question though is whether this new “kit-zoom” performs adequately on the 36MP FX-sensor of a D800 or is it a combination that can’t be recommended? So in this review I’ll have a look at Nikon’s newest FX zoom, and find out whether the lens can deliver the goods on Nikon’s highest resolution DSLR. As usual I’ll have a look at the technical data first. I’ve rated the features with a [+] (or [++]), when it’s better than average or even state of the art, a  if it’s standard or just average, and [-] if there’s a disadvantage. So the score in the “features-department” is 0[-]/5/8[+]. This lens ticks almost all important boxes with the only annoyance being the slightly brighter aperture of its predecessor. But to put it in perspective, f2.8 on the old 24-85mm is only two thirds of a stop brighter than f3.5 on the new model when both are zoomed-out to 24mm, while f4 on the old one is only one third brighter than f4.5 on the new one when both are set to 85mm. A reasonably priced 24-85mm zoom may be your first lens on an FX-body and you want it to cover many standard situations. And it does: at 24mm shortest focal length it lets you capture a crowd in tighter spaces or shoot architecture. And with 85mm on the long end you’re right up into the realm of light tele-lens capable of offering a good perspective and working distance for portraits and street-photography. 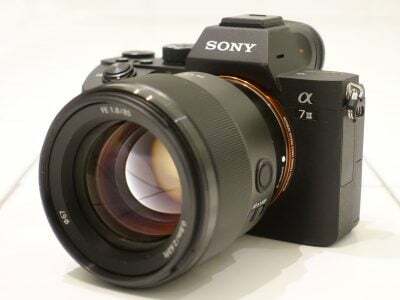 Although not equipped with a large aperture like 24-70/2.8 zooms it offers image stabilization to compensate for 2-4 stops over a non-stabilized alternative. That should make the lens usable even under dim lighting conditions. Be aware though that image-stabilization allows you to shoot longer exposures that are a no-no with fast-moving subjects like children or when shooting sports. In the latter shooting situations you should crank-up the ISO to get faster shutter-times. – The old Nikon AF 24-85mm f/2.8-4D: That lens does not have VR, nor does it auto-focus on drive-less bodies like the D3x00 or D5x00. It is more expensive too but offers up to 2/3 of a stop larger aperture on the wide end plus a macro-mode that let’s you get down to 1:2 magnification. – Then there are the 24-70/2.8 zooms from Nikon, Sigma and Tamron (the latter even offering image stabilization) but prices are much higher, starting at 750 EUR and going up to 1500 EUR. – The only cheaper alternative is the SP AF 28-75mm 2.8 XR Di LD Asp IF Macro from Tamron for around 350 EUR. 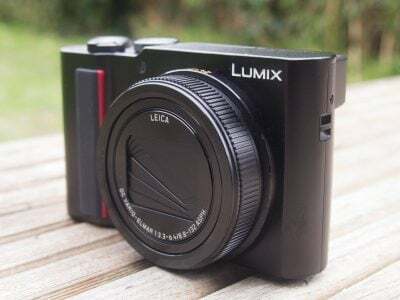 It offers a constant larger aperture but covers a smaller band of focal lengths with its 2.7x zoom (compared to the 3.5x range of the Nikon zoom) plus it’s not stabilized and has no AF-motor built-in.